+ 2 = three Required Please enter the correct value. The Alibaba Group Holding Ltd. (NYSE: BABA) stock price hit its lowest level since its IPO this week when shares fell to $80.03 Tuesday afternoon. That's down 14.8% from Alibaba's first-day closing price of $93.89. It's 33.3% from BABA's high of $120 hit on Nov. 10. But this is not a bad thing. It means Alibaba stock is giving investors an excellent buying opportunity. You see, several negative headlines caused nervous investors to dump their shares since January – even though the stories have been overblown. The most recent problem for BABA came Tuesday, March 3. That's when the Taiwanese government requested Alibaba withdraw from the country within six months because of its Chinese ownership. Alibaba registered in Taiwan as a Singaporean company in 2008. It then registered in the United States as a Chinese company in 2014. Taiwanese officials claim that's a violation of the nation's investment laws. Alibaba has roughly 100 employees in Taiwan and 140,000 registered users in the country. 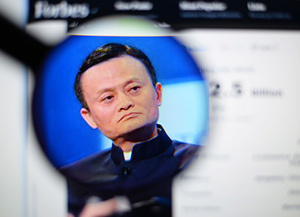 Alibaba's Founder Jack Ma claims the company was in fact a Singaporean company when it registered in Taiwan, and that no foul play has occurred. He immediately vowed to resolve the issue. "Taiwan is very important for Alibaba," Ma said. "As a global company, no matter where we go in the world, we need to comply with the local laws." Prior to the Taiwan incident, Alibaba was in the news for a high number of fake purchases and fake products. A Chinese government agency criticized Alibaba in January for its monitoring of unlicensed or "knockoff" goods. The agency expressed concerns over "the long-term existence of illegal problems regarding the management of transaction activity and other issues." Similarly, the company caught flack for the amount of "fake ordering" that takes place on its site Taobao. These vendors lie about the number of transactions they handle in order to boost their ratings on the site. It's a problem that competitors like eBay Inc. (Nasdaq: EBAY) face as well. I have AMBA and it seems to be going higher nicely.